Earlier this week, I used my line item veto power to veto the Republican plan to cut education by $95 million, while also taking action to ensure that schools received money owed to them through December 31. 1. The Republican budget underfunds education. Instead of finally providing funding for our schools, Republicans cut $95 million for local school districts. 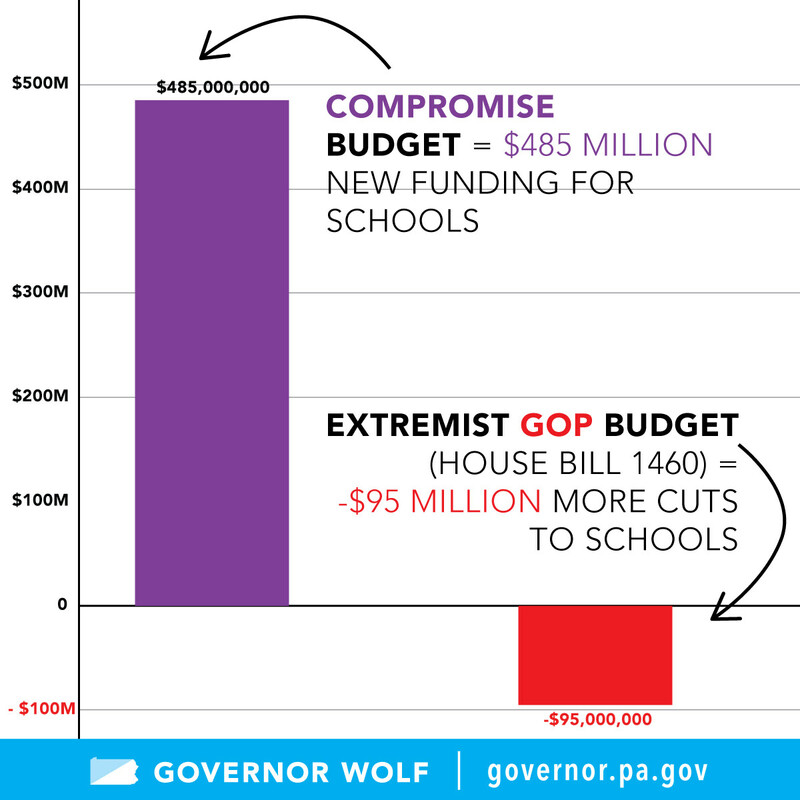 After $1 billion in budget cuts to our schools over the past several years, this budget makes it even worse. Republicans continue to refuse to adequately fund Pre-K through 12 education and their budget fails to fund over $305 million in school construction reimbursements. The Republican’s failure to provide school construction funding to local school districts and the commonwealth’s inability to responsibly issue debt — which is a result of past Republican budgets built on gimmicks that led to a multi-billion dollar deficit — will lead to a direct cost to the school districts. This will wipe out any marginal funding increases for local school districts. The Republicans did not pass legislation to provide funding for Pennsylvania’s institutions of higher learning including Pitt, Penn State, Temple, Lincoln, and the Penn Vet School, leaving them completely without state funding. They did not pass a fiscal code or a school code. 2. The Republican budget does not balance. This budget spends $30.3 billion dollars without sufficient revenues to pay for it. Assuming that we would certify the current year revenue estimate at the amount recommended by the Independent Fiscal Office earlier this month, if I signed this bill, the commonwealth would end the year over a half a billion dollars out of balance. There is already $2.3 billion structural deficit, and the Republican budget increases it even more. 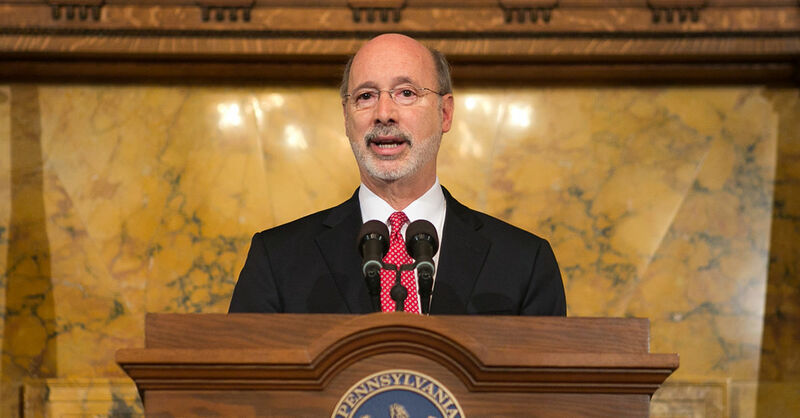 It will lead to more credit downgrades and fiscal instability in Pennsylvania. Bottom line: It is not responsible. For the first time in years, we have an opportunity to change the status quo. We have a real chance to make historic investments in schools, truly balance the budget, and begin to fix the deficit. Now, the Republican legislature must return to work immediately and pass a real budget for Pennsylvania.